Here's one thing about reproductive rights I know for sure: If men were the ones who had to carry a pregnancy for nine months, go through an excruciating childbirth, and then be responsible for the care and well-­being of another person for the next several decades, they'd be picking up their over-the-counter abortion pills at the drugstore along with their shaving lotion. Maybe even at the grocery store. Nobody would bat an eye. That's not how it works, however. At least not yet. 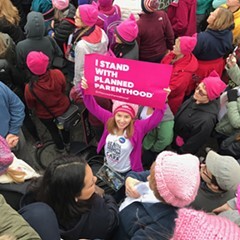 And in these ill-tempered waning days of the patriarchy, Planned Parenthood—founded more than a century ago for the radical purpose of helping women get a handle on their reproductive lives—is the target of a pair of high-profile attacks, one from the White House, the other playing at a movie theater near you. The federal offensive, which comes in the form of revisions to Title X, the only federal program dedicated to supporting affordable birth control and reproductive health care, was on the mind of nurse-midwife Kai Tao when she spoke at a Health & Medicine Policy Research Group event earlier this month. Tao is a former deputy commissioner of the Chicago Department of Public Health, a former vice president of clinical operations at Planned Parenthood of Illinois, and the founder, last year, of Juno4Me, a nonprofit that connects women to providers of reversible, long-term birth control (IUDs and implants). She said the Trump administration changes to Title X will prevent clinics from giving referrals to abortion providers, even when patients request them. Instead, they'll be allowed to withhold information about legal pregnancy termination as an option and mandated to provide referrals for prenatal care. In addition, groups receiving Title X funding would have to be financially and physically separate from any abortion provider. "They're doing as much as they can so that [organizations like Planned Parenthood] won't take the [federal] money," Tao said. On March 5, Planned Parenthood and the American Medical Association sued the Trump administration to prevent the revisions from going into effect. In a press release issued that day, AMA president Barbara McAneny called the changes "a government gag rule" and said, "The administration wants to block physicians from providing full information [to their patients] about all of their health care options and from providing appropriate referrals for care." 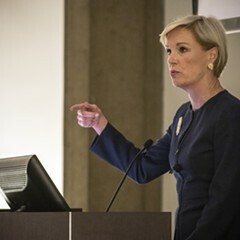 Planned Parenthood of Illinois president Jennifer Welch said in the same statement, "This gag rule is just the latest step in the Trump-Pence Administration's efforts to ban abortion, limit access to sexual and reproductive health care, and block care at Planned Parenthood." A motion for a preliminary injunction is pending; otherwise, the changes will go into effect in early May. The next hearing date is April 23. Meanwhile, down at the multiplex, Unplanned, a film based on the 2011 memoir of the same title by Abby Johnson, a former Planned Parenthood clinic director turned anti-abortion activist, is playing to the crowd that wants to see Trump's Title X makeover implemented. 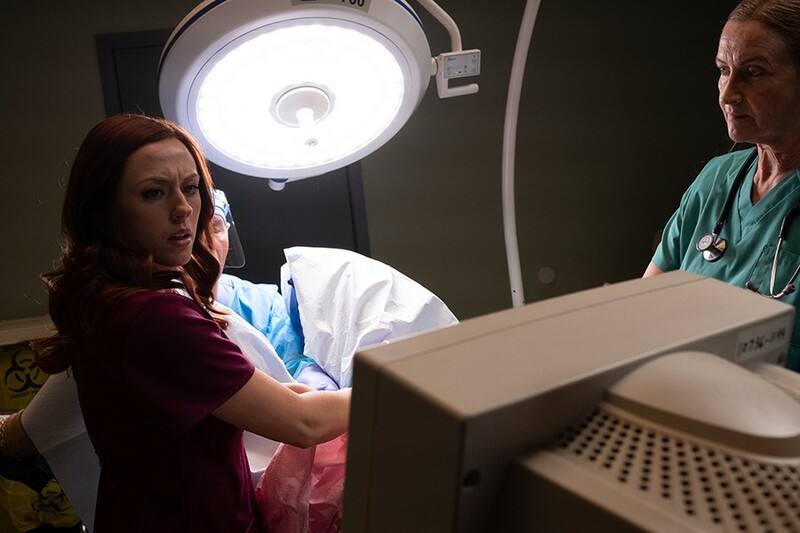 Unplanned is a blend of Hallmark-style romance and unintentionally campy horror flick, with an R rating, a patriarchal subtext (she's "baby" to the husband who always knows best), and a happy, bulldozer-at-the-clinic ending. Ashley Bratcher stars as Johnson, who had two abortions herself and a successful eight-year career at Planned Parenthood (employee of the year!) before viewing an ultrasound-assisted procedure and undergoing what's presented as an instant conversion, but makes more sense as a homecoming for the devoted daughter in a staunchly anti-abortion family. Her over-the-top boss, a villainous clinic director, refuses to call an ambulance when a procedure goes wrong, and threatens retribution powered by "Soros, Gates, and Buffett" when Johnson joins the objectors who've been praying at the clinic fence for years. The film's most dramatically staged moment—a blood-in-the-toilet horror scene with stark camera angles and escalating tension in the score—may have been inspired by Psycho, but, frankly, wouldn't look all that unfamiliar to any woman. 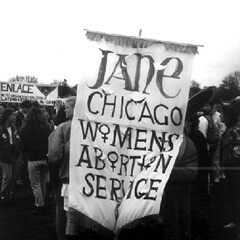 I asked Planned Parenthood of Illinois for a response to the film and got this reply from spokesperson Paula Thornton Greear: "The claims in the film are simply false. . . . We understand that people have different thoughts and feelings about abortion, and we know that people's beliefs can change over time. 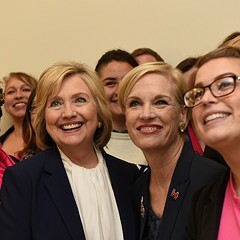 However, one's change of view on the issues of abortion and birth control do not justify false claims about Planned Parenthood's services and mission." Planned Parenthood has posted a petition on its website asking that the changes to Title X be dropped; the public's invited to sign on here. And this isn't its only battle: last week Ohio governor Mike DeWine signed off on a state law that will prohibit abortions once a heartbeat can be detected. That's as early as six weeks—a deadline that could close the termination option for women before they're aware that they're pregnant.